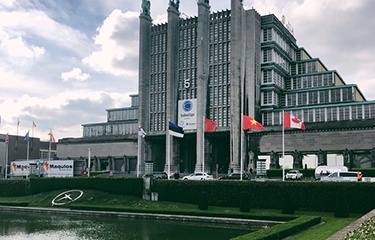 Seafood buyers, suppliers, and professionals are arriving in Brussels, Belgium for the 26th edition of Seafood Expo Global / Seafood Processing Global, the world’s largest industry-focused trade event, held this year from 24 to 26 April at the Brussels Expo. A total of 1,946 companies from 78 countries are exhibiting at this year’s exposition, an increase of 87 companies over 2017, event organizer Diversified Communications announced on Tuesday, 24 April. 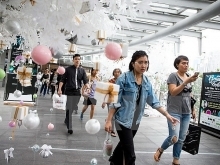 This year’s event has also broken new grounds and records in terms of exhibit space, with more than 39,322 net square meters occupied, Diversified said. Barbados has come on board as a new exhibiting country for SEG18, and new pavilions from Colombia, France, and South Korea have also been added to the exposition’s growing exhibitor roster. Overall, 72 national and regional pavilions will be on display during the show. Representatives from several high-volume seafood buyers have plans to walk the SEG18 show floor, according to Diversified. 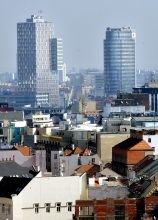 Those buyers include: Accorhotels, Ahold Delhaize, Aldi, Alibaba, Auchan, Carnival, Carrefour, Chefs Culinar, Colmar, Colruyt Group, Coop Group, Emart, Eroski, Esselunga, Flunch, GFresh, Groupe Casino, Ikea, Intermarché, JD Fresh, Jeronimo Martins, Lidl, LSG Sky Chefs, Metro, Mercadona, Migros, North Food Polska S.A., Sainsbury’s, Saizeriya Co., Ltd., Sodexo, Subway FWH, SuperUnie, Sysco, Tesco, Transgourmet, Unicoop, Unil AS, Viking Cruises, Waitrose, Wellcome HK, Whole Foods Market, Woolworths, and more. Running in conjunction with Seafood Expo Global is Seafood Processing Global, occupying Hall 4 and Hall 8. SPG18 serves to highlight every aspect of seafood processing, Diversified said, including packaging materials and equipment, refrigeration/freezing equipment and supplies, primary processing equipment, secondary processing equipment, hygiene control/sanitation, quality assurance services, transport, and logistics services.